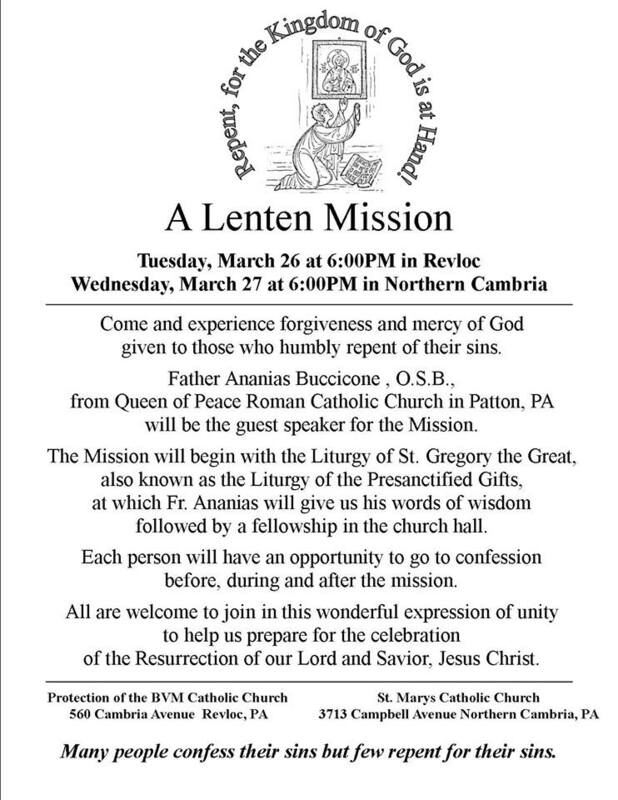 The parishes served by Father Andriy will hold a Basket Party & Bake Sale on Sunday, January 27, 2019 from 11:30 to 3:00 with the drawing at 3:00PM at Queen of Peace Roman Catholic Church in Patton, PA. 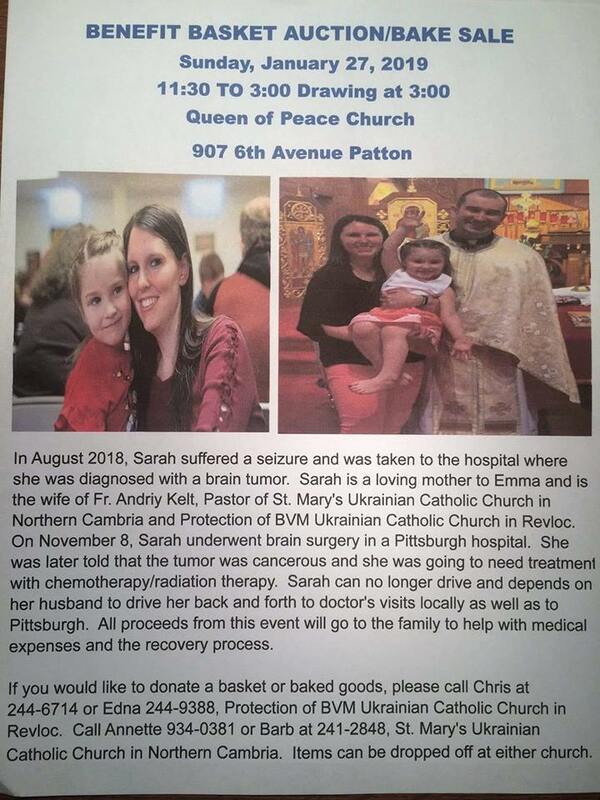 Proceeds will help Father Andriy and Sarah with expenses incurred during her radiation and chemo treatments. Please consider donating one or more baskets and/or making bakery for the bake sale. We are also asking for volunteers to help with set-up on Saturday, January 26 and to help at the event. Fr. Ananias has generously given the use for the church hall for the event. 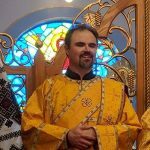 There will be no evening Divine Liturgy on Tuesday, October 23. 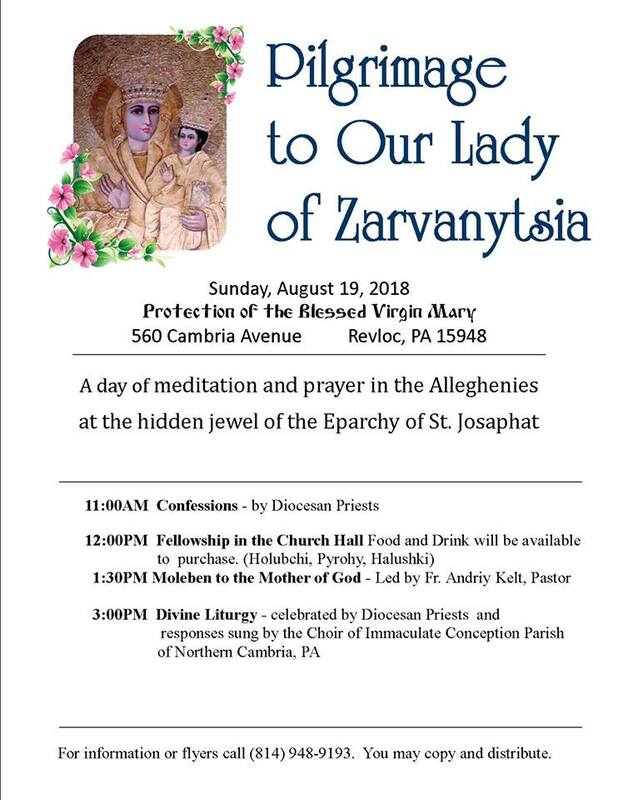 There will be no Tuesday evening liturgy or bible sharing on June 19.